The Fall Out Boy cruises L.A. in "Can't Knock The Hustle." 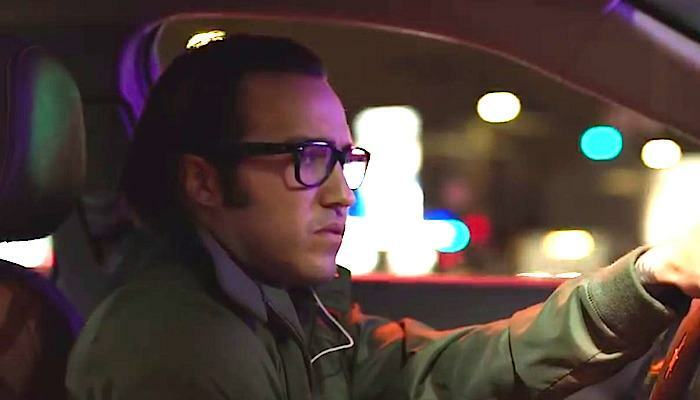 Weezer make good on their “Black Album” promises by announcing the followup to last year’s Pacific Daydream with a bizarre new video starring Fall Out Boy‘s Pete Wentz as a Rivers Cuomo-esque rideshare driver. Watch it below. Produced by TV On The Radio mastermind Dave Sitek, here working with the band for the first time, the long-rumored “Black Album” (Weezer’s fifth color-coded, eponymous affair) is due out next year from Crush Music/Atlantic Records. The sweater-wearers released one-off single “California Snow” last month, the Spell soundtrack song following Weezer’s social media-driven, novelty Toto cover, “Africa.” Weezer hit the road with the Pixies again in 2019; get the dates after the vid.